Amidst the hustle and bustle of Chicago’s iconic Gold Coast neighborhood, Nico Osteria introduces their new "Rush Street Lunch," a three-course midday menu that's ideal for business travelers and on-the-go city diners. A truncated take on Chef de Cuisine Bill Montagne’s (formerly of Le Bernardin, Les Nomades, NoMi) coastal Italian cuisine, which has been receiving high praise from diners and critics alike — the Rush Street Lunch menu showcases made-from-scratch dishes like hand-rolled Tortellini soup, an open-faced Tuna Autostrada with roasted fennel, arugula and pickled lemon, and Pastry Chef Leigh Omilinsky's artisanal gelati for dessert. This new abbreviated lunch menu features the best of Nico Osteria, for an afternoon fix that’s anything but rushed for corporate groups, locals and travelers. The Rush Street Lunch experience at Nico Osteria starts with a choice of antipasti, which includes dishes like house-made minestrone or tortellini soup with fresh pasta, Caesar salad or chopped salad served with diced, cured meats, ricotta salata and drizzled with roasted onion vinaigrette. 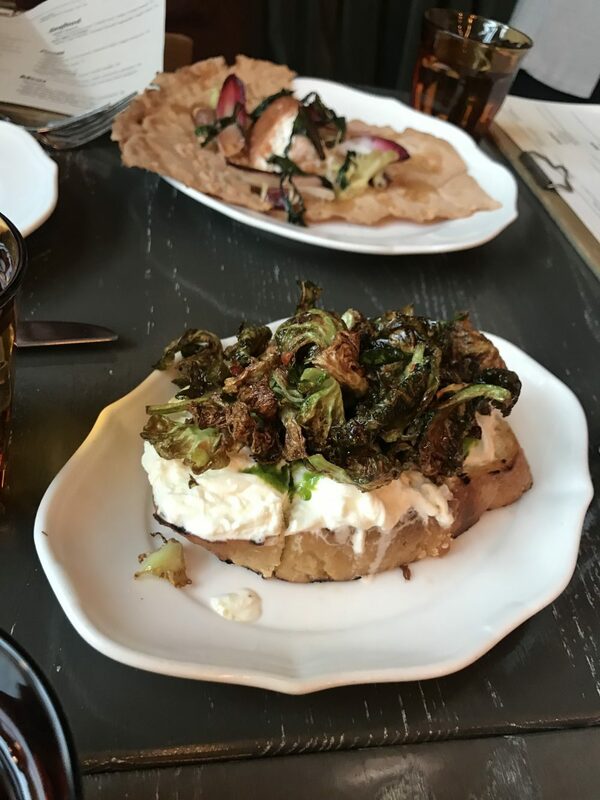 For the main event, Montagne offers a Nico Osteria classic, the Brussels Sprouts Bruschetta, a greener take on the Italian staple served with a forest of roasted Brussels, topped with stracciatella cheese and finished with lemon honey and trufflebert hazelnuts. For a more traditional power lunch, Montagne serves up a juicy Bellevue Burger, which is topped with Widmer aged cheddar, crispy bacon and spicy horseradish mayonnaise. The afternoon feast concludes with a selection of dolci crafted by Jean Banchet award-winning pastry chef Leigh Omilinsky. Guests can choose between a Key Lime Whipped Budino or a scoop of seasonal sorbetto or gelato in flavors like Banana Stracciatella and Sicilian Pistachio. “We wanted to create a daytime experience that highlights the best of what we do at Nico Osteria. To do that, we knew it was crucial to offer a menu that allows our guests to have a quality lunch that doesn’t mess with their busy schedules,” says Chef Bill Montagne. “With this new menu, our guests can sit down and enjoy an excellent meal before getting back to the office, exploring the city, or accomplishing whatever they have planned for the day." Nico Osteria’s Rush Street Lunch menu is priced at $24 and is available Monday-Friday, 11:00am to 4:30pm.